The use of most commercial mosquito repellents will inadvertently expose you to chemicals that could be detrimental to your health. Chemicals, allergic reactions, skin irritation and rashes… ugh! 50 years ago, people never thought twice when spraying DDT to control mosquitoes. Today, the most popular mosquito repellents contain DEET. It’s no secret there is some debate as to whether DEET is actually safe or not. Thankfully, there are a lot of natural ways you can dramatically repel mosquitoes in your own backyard. Have You Tried A Fan? 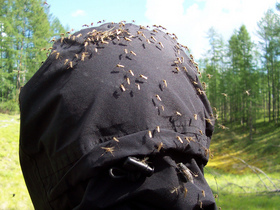 Entomologists say that mosquitoes are not active when wind gusts outside exceed 10 miles per hour. That makes sense, since mosquitoes can only fly up to 2 mph themselves — so a 10 mph wind gust must stop them in their tracks! If you’re going to sit on the porch, take a fan with you! Turn it on medium or high, and you’ll make it windy enough to keep the mosquitoes away. It really does work. As a bonus, a fan will also help to dissipate the carbon dioxide that you exhale — which is a known attractant to mosquitoes. 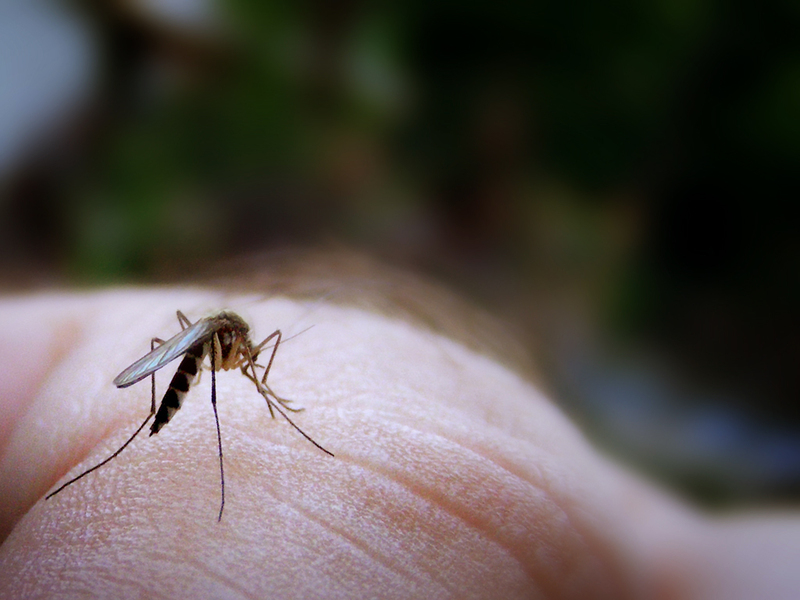 You should eliminate any standing water nearby — because that’s where mosquitoes lay their eggs. If you have a pond (which itself is a mosquito hatchery! 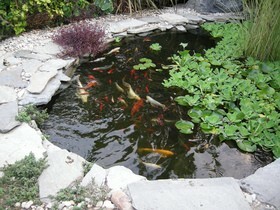 ), consider stocking your pond with guppies. They’re small fish that thrive on mosquito larva and do well in still water ponds. Guppies reproduce rapidly, so before you know it, you’ll have a mosquito-free pond! Purple martins are birds that also have mosquitoes high up on their dinner menu too. Since they like living in multi-apartment habitats, one good-sized purple martin house will provide housing for a fairly large community of birds. Frogs love mosquitoes. They also hate pollution and chemicals. If you have a clean environment in your yard, and like the sound of frogs croaking at night, then a frog pond can be a big help in alleviating your backyard mosquito issues. Bats consume about 1,000 insects an hour. Building a bat house will bring these nighttime radar equipped little guys to your property in droves! There are a number of plants that repel mosquitoes enough to send them to your neighbors yard instead of hanging out in yours. These mosquito repelling plants take no more effort to plant and care for than any other plants, and the mosquitoes will stay away! Organic and natural repellents can be purchased commercially, or they can be mixed up at home with simple readily available ingredients. Lemongrass DIY mosquito repellent – it’s said to be similar to citronella. Rosemary and catnip – see how to make your own mosquito repellent spritzes and sprays. Homemade mosquito repellent – mix a few common household ingredients with these essential oils that naturally repel mosquitoes. Listerine to repel mosquitoes – yep, it works for some! Commercial mosquito repellents – a handful of all-natural organic products you can buy. This list of natural insect repellents highlights many different mixtures that can be effective in fighting off mosquitoes. In the battle against mosquitoes, it’s not mandatory that you expose your family to potentially dangerous chemicals. By staying with organic and natural products and methods, you can still provide relief from biting insects and greatly reduce the possibility of contracting diseases like West Nile Virus. With global warming raising the temperature of our environment, it’s likely the mosquito problem will worsen in years to come. How Safe Is DEET For Children?